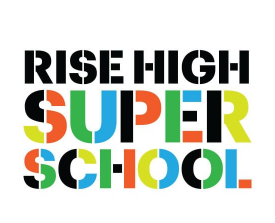 RISE High, which just won $10 million in the XQ high school redesign competition, was created to address the unique needs of students facing disruptive life circumstances. School instability is one of the biggest educational issues facing youth who experience crises like homelessness, foster care placement, or incarceration. These youth often miss school frequently and switch schools repeatedly, and, subsequently, they face diminished long-term academic outcomes. There are a number of things that schools and districts can do to facilitate attendance and consistency for students whose educations are severely disrupted — things like rerouting school buses, sharing data across agencies, implementing wraparound services, and utilizing competency-based education — but few truly solve the physical challenge of getting students to and from school every day. Until now. RISE High will have several physical sites, an online learning system, and a mobile resource center. Students will have the option to attend any one of the school’s physical or virtual sites, helping ensure students can access the day’s lessons and/or tutoring regardless of where they may be. The physical sites will be co-located with service providers, and the mobile unit will be equipped with hygiene products, cell phone chargers, and Internet access to solve some of the basic — and often overlooked — challenges these students face. But RISE High will do more for these students than just meet them where they are physically. Because it is one school, it eliminates many of the common barriers that highly transient students face. Students will be able to maintain consistent enrollment in a single school but attend multiple sites—rather than un-enroll and re-enroll in a new school with each move. Students will not risk losing credits due to course incompatibility between schools or districts. Instead, RISE High will provide each student with a personalized learning plan and allow them to earn credit upon mastery of a unit. This type of competency-based learning can be powerful for students whose life circumstances make it challenging to regularly attend a traditional school with seat-time requirements. And students will have a single record of their coursework rather than a complicated file cobbled together by many schools over time, which can help facilitate high school graduation and postsecondary enrollment. RISE High has incredible potential to increase the continuity and consistency of the school experiences of youth whose educations have been severely disrupted. With greater consistency comes greater educational success, and, ultimately, more promising life outcomes. This entry was posted in Education Innovation and tagged foster care, Homeless students, incarcerated youth, RISE High, XQ SuperSchools on September 19, 2016 by Kelly Robson.